Si-Fu Leigh Duff has studied various Martial Arts styles for over 30 years including MMA, Brazilian Ju Jitsu, kickboxing, Muay Thai, Traditional Karate (Goju Ryu & Shotokan) and Freestyle Karate (Zen Do Kai). In 2000 Leigh started training in Traditional Wing Chun Kung Fu and is a direct student and one of few closed door students under Grandmaster William Cheung and has been since 2011. 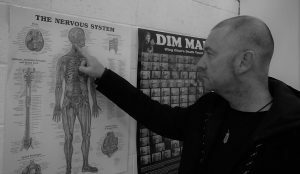 With 15+ years experience in Traditional Wing Chun, Leigh is currently graded to Provisional Master Level 3 under the Global Wing Chun Kung Fu Association and was personally assessed by Grandmaster William Cheung. 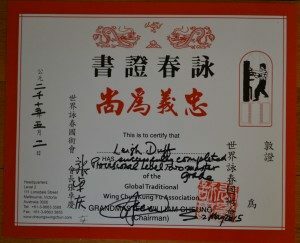 Si-Fu Leigh is also the only Traditional Wing Chun Kung Fu Provisional Master in Tasmania. Si-Fu Leigh has experience in both street and competition environments, however prefers to teach the street defence aspect of combat to students for self defence. Si-Fu Leigh also served in the Police Service, regulary dealing with people who were violent, armed with weapons or under the influence of drugs or a mixture of all three. Due to this, Si-Fu Leigh gained a great deal of knowledge and practical experience in street combat and violent situations which provided him with the opportunity to test the application of Traditional Wing Chun in real life situations. Si-Fu Leigh also has a strong interest in professional defensive tactics and specialises in defensive tactics training for civilians, Police, Security, Military and other emergency services units. This includes training with firearms, knife, baton, cuffing/restraint techniques and other specialist defensive tactic/combat training. Si-Fu Leigh also has a strong focus on building “Mental Resiliency” and teaches people how to build their mental strength and get the most from thier lives. 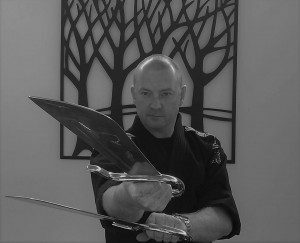 Sifu Leigh has a range of skills and experience in areas which require focus and systematic and automated skills. His experience includes training in flying aircraft, domestic and commercial vessels, police and other specialist vehicles. Sifu Leigh is also an experienced diver, having been involved in many aquatic activities since a young age including his experience as a commercial abalone diver in the cold, exposed and dangerous waters of Tasmania. Sifu Leigh understands all too well how being unprepaired for various situations, particularly in unforgiving environments can be fatal. Si-Fu Leigh believes that Traditional Wing Chun should be taught to those people who are not only serious about being able to protect themselves in real violent situations with one or more attackers, but to those people who are interested in a more holistic approach to martial arts including building mental resiliency, self improvement and development, managing stress, treating injuries and illness and increasing their overall health and well being. Si-Fu Leigh regularly conducts classes for both children and adults including Iso Chi & Chi Gung, private tuition and corporate & specialised groups. Si-Fu Leigh is very passionate about teaching the younger generation of Wing Chun students and conducts our Kung Fu 4 Kids Program 12 times per week. Si-Fu Leigh holds certificates I, II & III in Security Operations including conflict negotiation and is certified to work with children and vulnerable people. Sifu Leigh acknowledges that having a “Black Belt” doesn’t necessarily mean you know what real self defence or violence is, he therefore does his best to teach not only the traditional aspects, but those skills which are essential for survival in real violent situations. 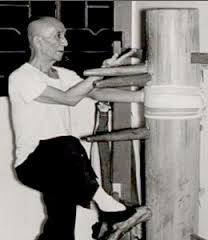 In 2013 Leigh attended the Shaolin Temple In China with his teacher Grandmaster William Cheung, where the Traditional Wing Chun System was acknowledged as belonging to the Shaolin Temple. During this special event Leigh trained at the Shaolin Temple alongside other instructors, sharing the Traditional Wing Chun System with local Soldier Shaolin Monks. Leigh returned to China again in 2014 to continue his growth, sharing and knowledge of Wing Chun. 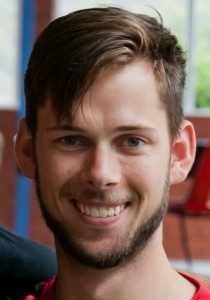 Si-Hing Zac Barry is currently a level 10 student Instructor and is an assistant instructor to Si-Fu Leigh Duff at Tas Wing Chun Training Centre Central Hobart kwoon. Si-Hing Zac has trained under Si-Fu Leigh since 2009. Si-Hing Zac has a great fun, friendly personality, witty sense of humour and is a great example of how young people can apply Wing Chun to their lives to fight the many challenges young people face including the fight against drugs.. Si-Hing Zac has a passion for sharing his knowledge and personal experiences when it comes to self defence and Wing Chun. Zac has experience in other martial arts including Brazillian Ju Jitsu, Mauy Thai and Kick Boxing and loves to train hard and seems to possess an endless supply of energy. Si-Hing Zac has also travelled to China with Si-Fu Leigh to attend the Shaolin Temple and travel through out China on the 2014 Traditional WIng Chun China Tour. We would like to welcome Si-Hing Zac to the Tas Wing Chun Instructor team and look forward to teaching with him. Si-Hing Chris is Tas Wing Chun’s head instructor for Launceston. Si-Hing Chris started training in martial arts at the age of 14 in Zen Do Kai Freestyle Karate, later studying under Rick Spain’s Wing Chun school in Oslo, Norway before returning to Australia and training under Si-Fu Leigh Duff in late 2012. Si-Hing Chris is currently assessed to Level 9 under the GTWCKFA & Tas Wing Chun Training Centre and has been personally assessed by Si-Fu Leigh. Si-Hing Chris is the newest instructor to join the ranks of Tas Wing Chun and as of the 1st of May 2017 becomes a closed door student to Si-Fu Leigh. Si-Hing Chris will take on the roll of new head Instructor for Tas Wing Chun’s north Tasmanian school in Launceston. 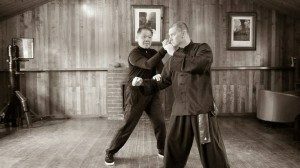 Outside of Tas Wing Chun, Si-Hing Chris is a professional teacher and musician, who enjoys the many benefits that Traditional Wing Chun principles bring to self-defense, mind, body and lifestyle in general. We would like to welcome Si-Hing Chris to the Tas Wing Chun team and look forward to teaching with him. Welcome Si-Hing Chris! Si-Hing Chris is certified to work with children and vulnerable people.